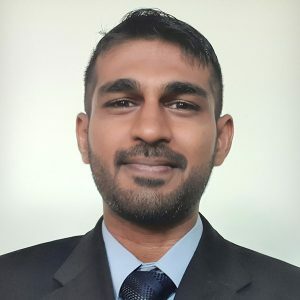 Dr. Muraliraj has over 9 years of varied working experience in multiple senior executive roles spanning across shipping, oil and gas, engineering service providers, IT and BPO. Presently as chief operating officer of MBizM Group, he is engaged with various renown organizations from both public and private sectors inclusive of manufacturing and services alike providing consultation, training and coaching in managing business transformation and business process improvement endeavours. Some of the renown organizations he had collaborated with are DRB-Hicom, Escatec, Beyonics, Aegis, Ikea, Ferrero Rocher and Air Asia. Dr. Muraliraj works with organizations to build a viable capability which is strategically centred around the notion of adapting to change from the perspective of people, process and innovation.